The Pioneer Village features an authentically recreated mountain town of yesteryear with a mercantile store, one room school, log cabin, barn, corn crib and smokehouse, blacksmith shop and the sawmill. 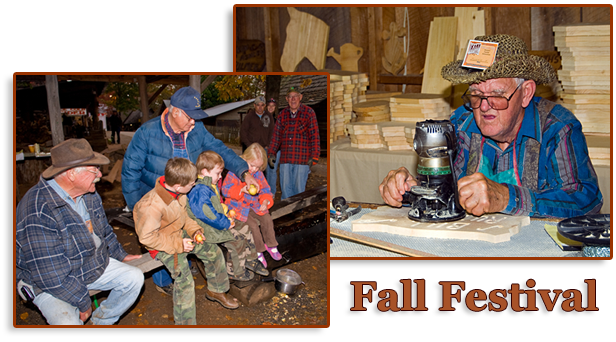 Here you will see authentic mountain demonstrations of the forgotten arts of Moonshine Stillin', Board Splittin', Black Smittin', Quiltin' and Singin' and Pickin' during the July Fair and Fall Festival. 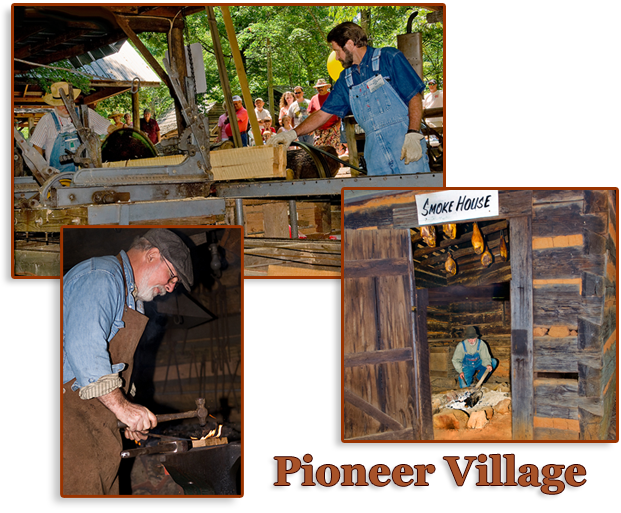 Georgia Mountain Fair has a new demonstrator in Pioneer Village that will be here July 20-28th, (3) days, he will be teaching and demonstrating tin-smithing, his techniques date back to the 17 and 18th century. 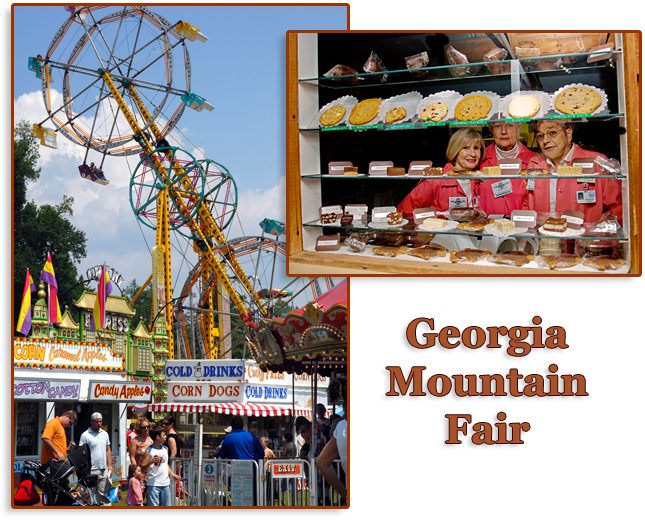 The Georgia Mountain Fairgrounds welcome you to visit the Georgia Mountain Fair and our Fall Festival in Hiawassee, GA - "The Country Music Capital of Georgia," where every visit is a wonderful treat! We also have a new outdoor exhibit and teaching seminars on hunting dogs and bird hunting by Noontootla Creek Farms. 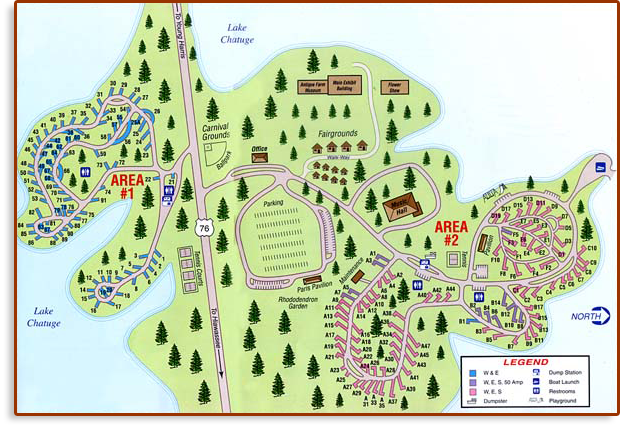 Map of the Georgia Mountain Fairgrounds and Campgrounds along Lake Chatuge. 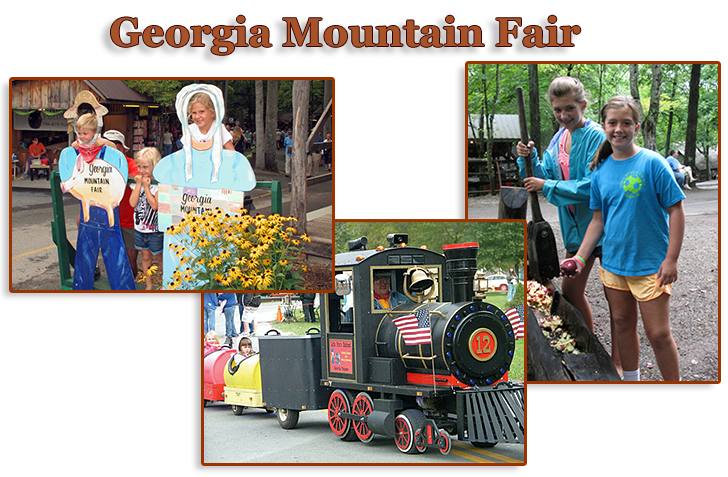 The Georgia Mountain Fair also plays host to additional special events throughout the year.